Rep. Tana Senn was selected by the Early Learning Action Alliance as a Crayon Award recipient for 2016. Every two years, the Early Learning Action Alliance (ELAA) presents awards to legislators who are leaders and champions for early learning in the Legislature. ELAA is a broad coalition of nonprofits, businesses and professional associations that are dedicated to making sure that every child in Washington arrives at kindergarten prepared to succeed. "By prioritizing the early years of a child's life, we are making wise investments that help ensure kids have a strong foundation moving forward into adulthood," Senn said in a press release. "Helping our state's most vulnerable children, like those in the child welfare system, access high-quality early learning is critical." Senn is being recognized for her leadership in the Legislature on early learning policies and funding, and her focus on our state's most vulnerable children in particular. On May 17, I filed for re-election for State Representative for the 41st Legislative District. The 41st, made up of residents across Bellevue, Mercer Island, Issaquah, Sammamish, Newcastle, Renton and Beaux Arts Village, is part of a dynamic region that I am honored to represent in Olympia. I look forward to continuing to bring the voice of busy families to Olympia.This means ensuring they have equal pay to support their families; they have reliable transportation options to help get them to work and home to the dinner table; they don’t lose sleep at night worrying about gun violence at their children’s schools or in their communities; the water, air and land is clean and safe to grow up in; and that the public schools in their communities are fully funded to provide all the needed services and high-quality education that our children need to grow up to be happy, successful citizens. I am thrilled to have lead the charge in the legislature this year to win approval for Bellevue College to offer a bachelor in computer science starting this fall. The demand is there from students and from business—and their diverse student body fills an important gap. We are lucky to have such a gem in our district and community! On Equal Pay Day, take a moment to read about the legislation I have sponsored to help end the wage gap, as written in the Puget Sound Business Journal. Women would have more ground to challenge discriminatory compensation and greater protections against retaliation under a bill moving through the Washington State Legislature. Women make 77 cents on average for every dollar a man makes in Washington state. House Bill 1646 could help close that pay gap by preventing companies from discriminating in pay and promotions based on gender and from denying employees the right to discuss compensation. 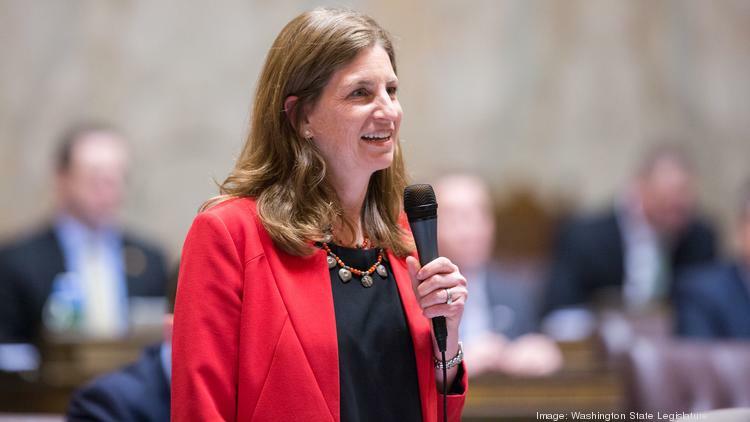 “Women often don’t even know if they’re being underpaid,” said state Rep. Tana Senn, the Mercer Island Democrat who introduced the bill. “Women can’t ask for more or resolve the difference if there’s pay secrecy."